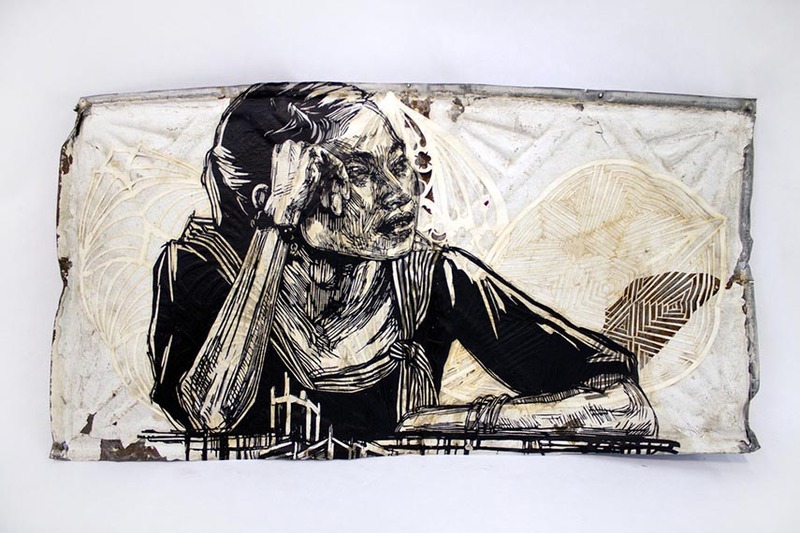 Swoon is a Brooklyn-based artist whose life-sized woodblock and cut-paper portraits hang on walls in various states of decay in cities around the world. She is also known as a designer of several large-scale installations, most notably the Swimming Cities of Switchback Sea in 2008. Her pieces have been collected by of The Museum of Modern Art, The Brooklyn Museum of Art, and the Tate Modern. Major pieces have appeared at PS1, Yerba Buena Center for the Arts, and Black Rat Press. 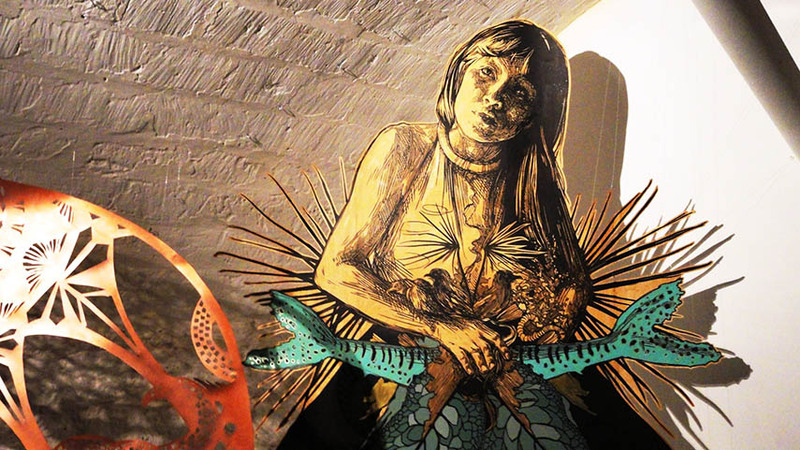 Swoon has been traveling for the past several years creating exhibitions and workshops in the United States and abroad. Swoon is known for being mysterious and modest – she didn’t want to tag her art in the beginning of her career. She felt best about working anonymously and worked that way until her boyfriend told her he had a dream in which the police was chasing two of them because they were writing graffiti and tagging them with the name Swoon. The artist taught that the sound of the name Swoon sounds nice and she accepted the suggestion of her boyfriend. A few years later, she indeed became recognized under that name. She found it funny that people believed she was a man and expected the Swoon-guy to do shows in their neighborhoods. 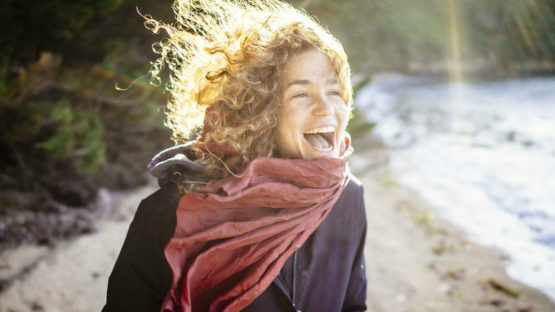 Swoon was born in New London, Connecticut but she moved to the Borough Park in Brooklyn, New York to study painting at the Pratt Institute. Around the same time, she has joined groups in New York City like Grub, which organize so-called free Dumpster-dived dinners. She is a very active young woman known for hosting various social events, such as a march through the Lower East Side consisting of a crowd playing instruments made from recycled garbage. Later on, after getting used to the NYC environment, she became an instigator and a collaborator. She founded the Toyshop collective and the Miss Rockaway Armada and is a member of Just Seeds and the Transformazium. Since 2006, she made a significant contribution to four large-scale raft events and floated down the Mississippi and Hudson rivers with them. In 2009, she and her collaborators designed a flotilla of sea-going rafts that invaded the 2009 Venice Biennale. When it comes to her artistic process, it is is based on the belief that art is an immersive, provocative, and transformative experience for its participants. Although Swoon’s aesthetics can be seen as an outgrowth of street art, her engagement with ethical living and making art share a close kinship with the idealism of off-grid, barter-based cultures and economies based on sharing. She uses scavenged and local materials and embraces print media as a potent means of action for social change. The majority of her street art consists of portraits. She believes that our bodies and faces store all of our experiences and that a portrait can become a deep insight into those experiences. She wants her portraits to depict the very essence of her subjects and hence she tries to emphasize something she loves or finds striking about her models and has seen in him or her. Konbit Shelter is one of Swoon’s environmentally engaged projects. It has begun in 2010 with the aim of raising consciousnesses and sharing resources through the building of homes in post-earthquake Haiti. Together with a group of artists, builders, and architects Swoon was working on building creatively designed structures meant to be resistant to earthquakes, hurricanes, floods, and fires. 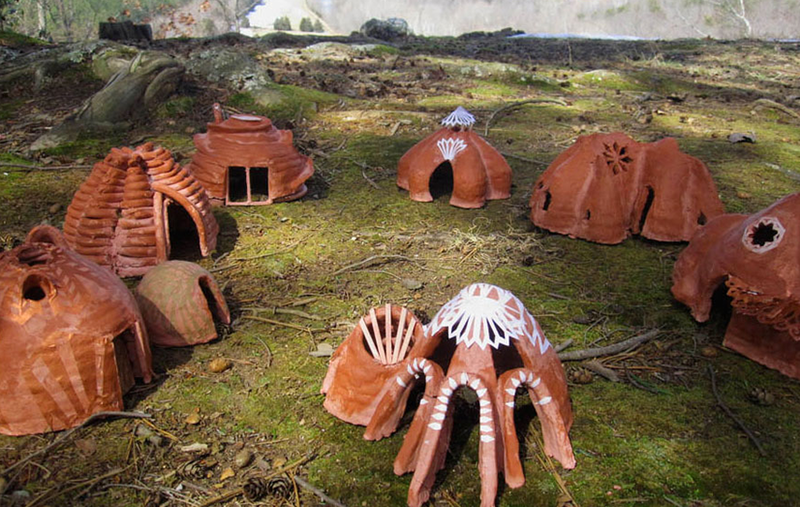 In December 2010, a community center and these small ecological shelters have been completed and people can inhabit them if needed. In 2011, Swoon launched the Kickstarter project Dithyrambalina with the aim to erect a musical village in the heart of New Orleans. Since then Swoon has also spent the last couple of years creating monumental street art pieces and installations for MoCA Los Angeles, ICA Boston, NOMA New Orleans and MAC Oaxaca as well as on the streets of New York. Thanks to her unstoppable energy and inspiration, her projects that followed Dithyrambalina became well-known all over the United States and Mexico. 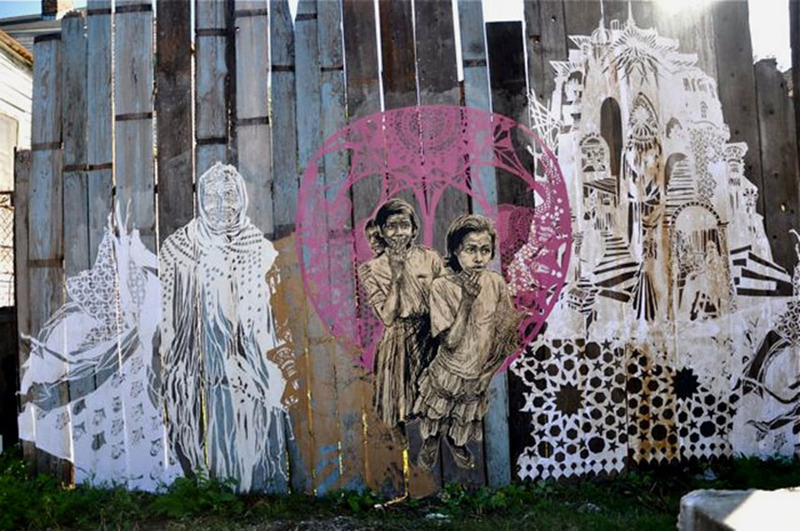 Swoon is a both humanitarian and artist who creates street art, installations, and sculptural assemblages in order to improve the world and make people happier and more content with their surroundings, both functionally and aesthetically. In 2015, after many successful projects, Swoon has founded a non-profit organization called The Heliotrope Foundation, in order to expand her community-based works in Haiti and New Orleans. The artist is represented by Hang-Up Gallery in London, Die Kunstagentin in Cologne and Gregg Shienbaum Fine Art in Miami. Swoon lives and works in Brooklyn, NY.